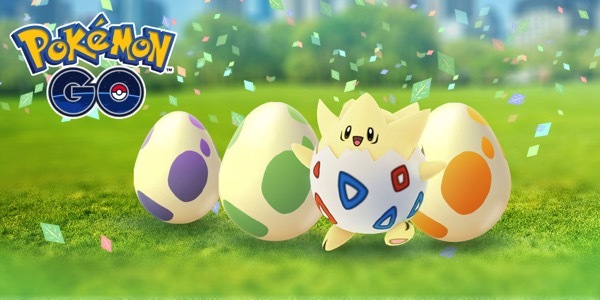 Pokémon GO has just announced a new in-game event “Eggstravaganza” to celebrate Easter, which kicks off today at 1:00 P.M. PDT and will continue till 1:00 P.M. PDT on April 20, 2017, offering a greater variety of Pokémon to be found in 2 km Eggs. Throughout this Eggstravaganza, users will also level up much faster with double XP. Get cracking and see what you find! Your Egg-venture doesn’t stop there, though—you’ll also earn more Candy for every Egg you hatch! Combine this Egg-cellent bonus with a Lucky Egg, and you’ll earn four times the XP you normally would. To make this Eggstravaganza even sweeter, Lucky Eggs will be 50% off in the in-game shop! It’s not yet known whether the 2km eggs during the event will still shell out the Pokemon normally found in these eggs, or whether the developers will simply increase the likelihood of hatching the rarest 2km egg Pokemon. I guess we’ll find out soon enough. So what are you waiting for? Get out there and hatch some Eggs!